“You don’t want to buy me. I’ll kill the man who buys me.” Despite that outrageous threat, plantation owner Boyd Jardine buys Caleb and puts him to work in the fields. But soon Jardine discovers that his new slave is both better educated and more widely traveled than himself. When Jardine’s pregnant wife dies and Caleb saves the unborn child, Jardine grows increasingly dependent on him not only as a servant but also as a companion—and so their relationship as master and slave begins to change. As the Civil War looms and Caleb’s thirst for freedom grows, Jardine reluctantly agrees to let the slave buy his freedom. Caleb has no money, but Jardine comes up with a scheme: Caleb can earn the price of freedom by fighting—and winning—boxing matches. But—in an ever more turbulent political climate—even if Caleb makes enough to purchase his freedom, what then? Freedom papers don’t mean much in a state of war. 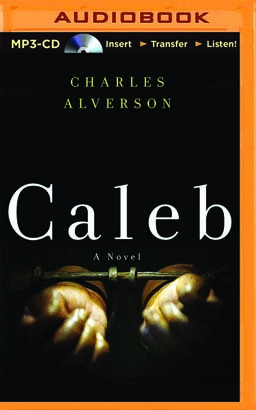 Set against a conflict that threatens to split a nation, Caleb’s story is both tragic and triumphant.